It seems Raf and Christopher were feeling pretty literal this season. 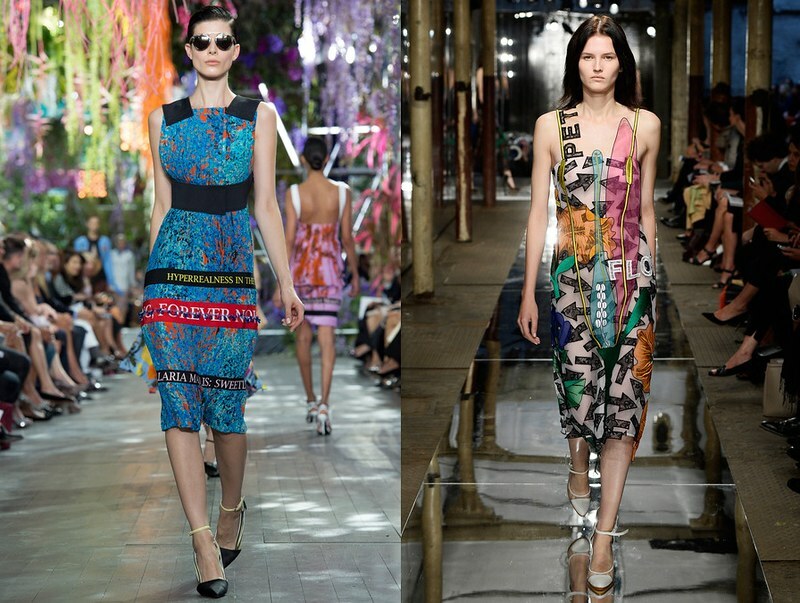 Both designers showed text-embellished dresses that signified the message of their collections. Just in case there were any doubt, Raf Simons wanted to assure that the Dior ethos is going through a transitory period, and its new aesthetic - according to the words embroidered on pieces throughout the collection - is a "hyperreal" reexamining of the brand's archives. Kane, meanwhile, imbued his designs with an undercurrent of female sexuality by embroidering dresses with textbook representations of the anatomy of a flower. Schoolboy crests were another reappearing theme for Spring, and this time around they looked fresh and almost futuristic on modern jackets. 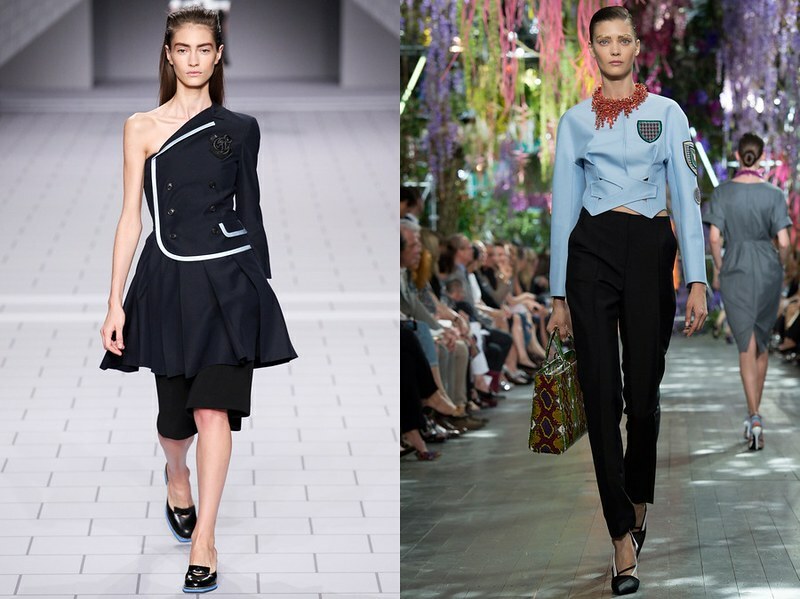 Recalling Nicolas Ghesquière's Fall 2007 collection for Balenciaga, the crest adds an unexpected stamp of traditional tailoring to pieces that are anything but. The Spring 2014 runways showed a plethora of outerwear options substantial enough to wear into Fall, and the classic prep element to the above options would take them into seasons beyond.